Linda Gore spends most of the year photographing Agility. She says her job is to capture memories in the ring. This year she covered Crufts at the NEC taking pictures not only of the competitors in the Main Arena and behind the scenes but also the Judges who design the courses, the commentators who explain the classes to the audience and the Ring Party who are responsible for setting the courses up and making the Arena run like clockwork. We have combined some of her pictures with their words. 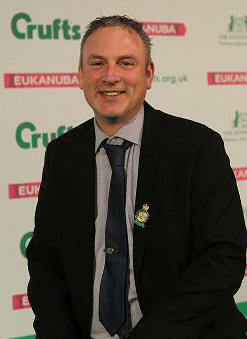 Before: My ambition 20 years ago was to qualify and compete at Crufts. 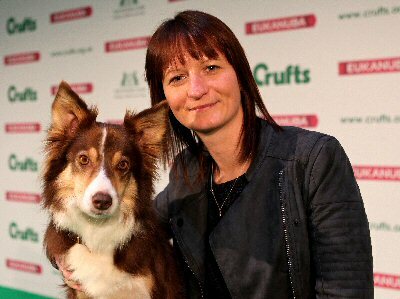 That was achieved a few times, so I then needed a new goal which was to judge at Crufts. After: That dream came true this year. There are no words to describe the feeling of walking out onto the green carpet. My heart was in my mouth as the first dog came in. I started to settle in by the Mediums and got focused and ran every round. Happy dog, happy handler! As for the competitors and dogs a massive thanks for nailing my courses, so exciting. It was quite hard to find the right balance, i.e. to entertain the crowd, get clear rounds, test the handler, and most importantly safe for the dogs. I dreamed a dream and it came true. Before: I am thrilled to be here, really looking forward to a great show. Good luck to everyone, enjoy it! After: It was a pleasure to spend time with all the competitors in the arena and amazing Ring Party in the collecting ring this year. Personally it was an amazing experience. I loved every moment of it and now have lifelong memories to cherish. Back home absolutely shattered but have loved every moment of the last four days. To have seen every agility run from the Crufts carpet this year has been an immense honour and left me with memories I will treasure for life. Ah well... it was never going to last - back to the day job. Before: 28 years after my first visit to Crufts, I am back to where it all began. Cant wait"! After: The whole appointment exceeded all my expectations. The way the YKC handlers conducted themselves and their attitudes towards their dogs, was impeccable. Before: Really excited to be judging at the biggest dog show in the world. I am honoured to have been asked to judge. Enjoy the courses! After: Wow! 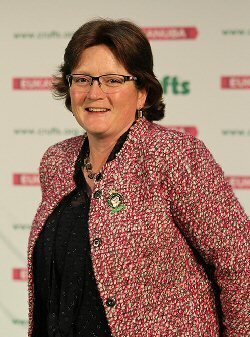 from the moment I stepped onto the Crufts green carpet I felt fantastic. Yes, there were nerves - who wouldn't - but I soon settled into the job. 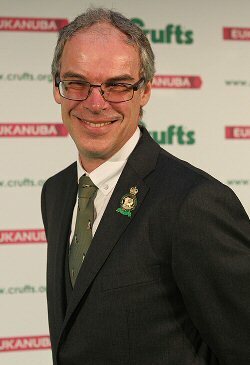 It's been a dream of mine for some nine years to judge Crufts Champ. Luckily the dream came true! I’ve been commentating in the Main Arena at Crufts for a few years now and I never tire of the excitement I get from getting a front row seat of some of the most inspiring agility partnerships. Crufts never fails to deliver and its lovely to see all the different breeds and levels of handlers having their time on the green carpet! As a commentator it’s our job to liaise with all the different people who keep the Arena going including the ring manager, the floor manager and the TV production crew to ensure the public, both at the Arena and live on the internet, are kept informed and can enjoy the experience. This year had the added bonus as my partner Paul Moore was judging the Agility Championship Class, and it was a fantastic to be able to be a part of that whole experience with him. I've commentated at Crufts for many years and must say 2019 was amazing in many ways. The Agility was the best I've seen on the green carpet and the Flyball was unbelievable and, without a doubt the fastest, breaking Crufts records for individual runs and team runs. I'm still on a high nearly two weeks later which makes me think Crufts 2019 was the best I've had the pleasure of commentating at. Thanks must go to everyone involved. What a team but most of all the dogs, they are all winners in my mind. Despite qualifying for Crufts 2019, my G7 dog Teek was forced to retire prematurely this year due to injury. So agility now has a different meaning to me. I am heavily involved in sports medicine and rehabilitation working for The Smart Veterinary Clinic, but I was also keen to give back some time to agility after all it's brought to my life. In 2017 whilst at Olympia providing the veterinary cover for the agility dogs, I was put on the spot by the BBC and soon found myself in the TV box with Nick Luck, commentating on the Olympia finals for the BBC red button. 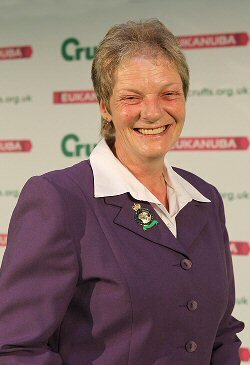 From there Kate Smith, gave me the confidence to stand out in front of the 6000+ people at Crufts to commentate on the agility. It was a great experience. It's safe to say my hands were a little wobbly but it was such a satisfying job and we had the best seats in the arena! Thank you everyone for your support and compliments. As a team, we cover all the agility and flyball events. There is also a team that is required BIS night. We usually also end up helping for other odd bits, too. None of the ladies seem to mind helping the RAF guys! We are responsible for setting out every agility course, changing it as required and then clearing away. During competition, the usual things need to be covered, pole picking scribe, calling, leads etc. The main difference from your usual show being that you are very much in the public eye and often under a lot more time pressure than a normal show. Taking people in to the start line or bringing them out is well orchestrated to avoid people’s heads in the video coverage. We also try and play dodge the camera. The main ring is split into four corners. Each corner has a team responsible for it. We build and look after our owner corners. This helps with the smooth running of both course build and running of the class. We tend to have fairly long days. We work hard and laugh lots. 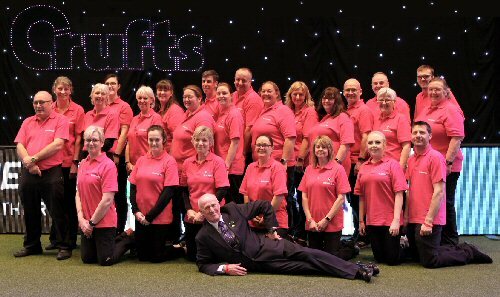 We hope to make the competitors and judges day as easy and enjoyable as possible whilst also trying to keep things moving as per the request of The Boss, Dave Jolly who in turn is trying to keep everyone else happy - those who run the show, the ring, the TV guys etc etc. Ring party is one big team effort. From those in pink on the green carpet, to those scoring, calling, scrimping, TV guys, floor Managers, camera crew. It all has to function seamlessly. It has its moments. But as long as the spectators and viewers never notice, then we’re doing okay.